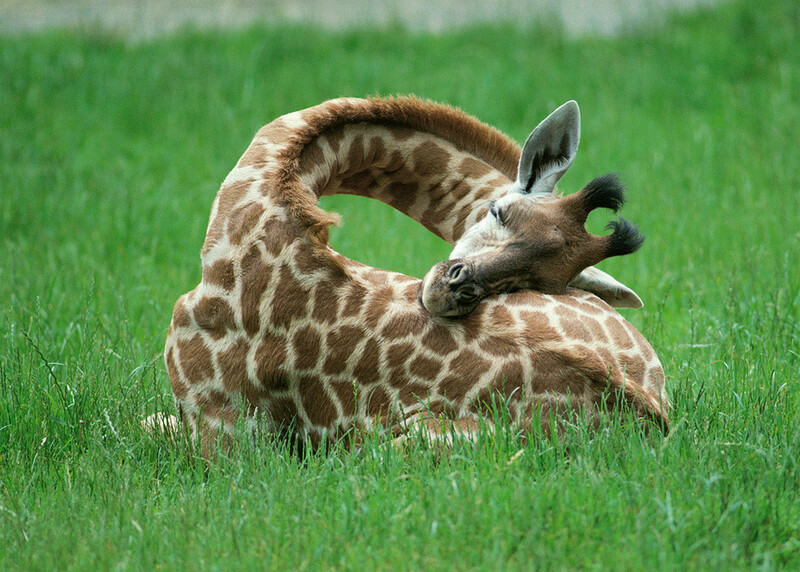 Have you ever witnessed a giraffe sleep? I guess they only do so for a very short time everyday. I cannot imagine how this is comfortable, but I always wondered what they did with their head and neck while sleeping.